Layer up in this handsomely tailored jacket from Lee and get complimented for your choice. 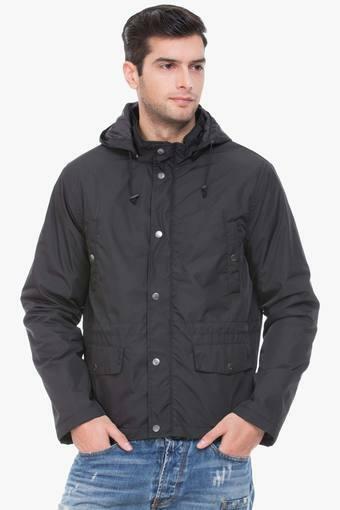 It has been made of polyester fabric to keep you cosy all through the day. Besides, it flaunts a solid pattern, which along with the hooded neck will give you a smart appeal. The way this jacket has been designed, it is clear that you will look smart in it. With a solid pattern, it will go well with any pair of jeans for casual occasions.